Until his death in 1956, the Pasha of Marrakesh was called many high sounding names and he deserved most of them. Among his other titles were “Lord of the Atlas” “The Black Sultan and “The Gazelle of the Sun” He was the most powerful figure in Morocco during his lifetime. 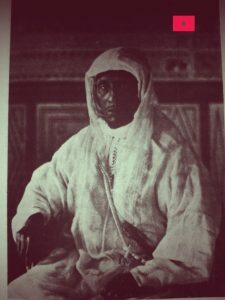 In English-speaking countries he was known as Lord of the Atlas, was the Pasha of Marrakesh from 1912 to 1956. His family name was el Mezouari, from a title given an ancestor by Ismail Ibn Sharif in 1700, while El Glaoui refers to his chieftainship of the Glaoua (Glawa) tribe of the Berbers of southern Morocco, based at the Kasbah of Telouet in the High Atlas and at Marrakesh. 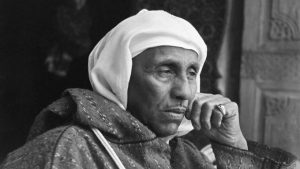 El Glaoui became head of the Glaoua upon the death of his elder brother, Si el-Madani, and as an ally of the French protectorate in Morocco, conspired with them in the overthrow of Sultan Mohammed V. The French relief heavily on Thami el-Glaoui to keep order in southern Morocco and during his heyday many foreign statesmen, including Winston Churchill, were entertained by the Glaoui in Marrakech or his High Atlas palace of Telouet.